Great September Line Up on Disney Junior Canada & CONTEST! My Crew on The First Day of School! I can't believe that it's suddenly September, after scrambling all summer long to sell a home, move into a new home, and get the kids registered at a new school! Well, I'm glad to say that with the new school schedule, things have quieted down a bit at home. But here in Toronto, I do feel Fall just around the corner, with the crisp mornings and cool winds. 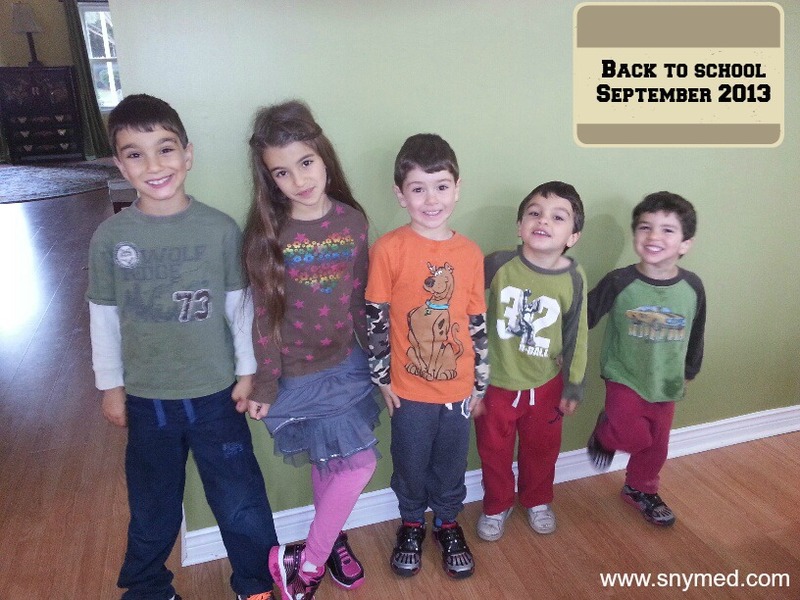 For my kids, this September will mean meeting new friends and teachers, finding their way around a brand new neighbourhood, settling into a homework routine, and keeping active through bicycling and swimming lessons. The Disney Junior Canada channel fits in nicely with our new September routine, especially when winding the kids down or providing night time entertainment. NEW Episodes of Doc McStuffins! 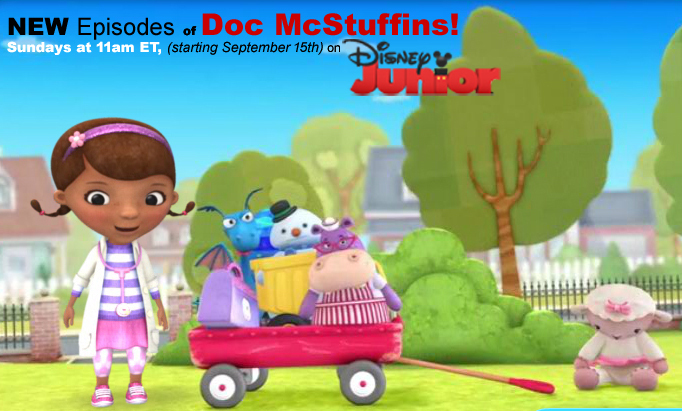 Doc McStuffins, Sundays at 11:00am EST! - Starting on September 15th, brand new episodes of Doc McStuffins premiere Sundays at 11:00am EST on Disney Junior Canada! 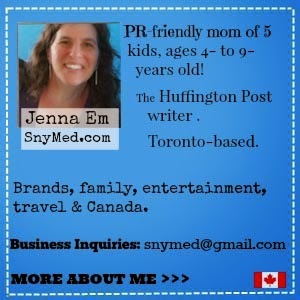 Doc McStuffins is perfect for your child that loves to nurture and care for others. The show features Dottie McStuffins who "doctors" all her stuffed animals with the utmost of kindness, love and compassion. In my own household, my 4-year old son is a very nurturing little guy. Although he doesn't play often with stuffed animals like Doc McStuffins, he takes good care of his diecast toy cars from the Disney Cars movie! We can play endlessly towing a car in trouble out of a ditch, changing "flat" tires of a car that is stranded, or filling up a "sad" car that has run out of gas. Of course, the conclusion is always a happy and repaired car, thanks to my son's assistance! Justin Time Premieres Brand NEW Episodes! Justin Time, Sundays at 8:30am EST! 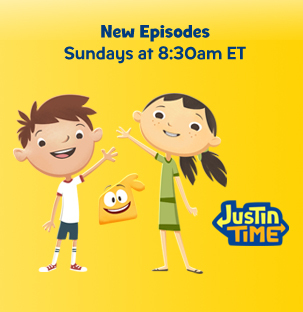 - Starting on September 8th, brand new episodes of Justin Time premiere Sundays at 8:30am EST on Disney Junior Canada! Justin Time features Justin and his imaginary friends Olive and Squidgy, as they embark on big adventures from every corner of the world. Set your PVR so you're "Just in Time" to watch the show! My 4-year old son's own imaginary friend is his favourite security blanket! He makes the blanket talk, puts the "tired" blanket to bed, and the blanket can even "ride a bike". My son has gone on some real-life adventures with his favourite blanket, including taking his first plane ride on our family vacation to Walt Disney World in Orlando, Florida, as well as sneaking it out for a toboggan ride in the winter. My son's blanket may be his imaginary friend, but the affection that he shows it is real. The Little Mermaid Series Is Coming Back! 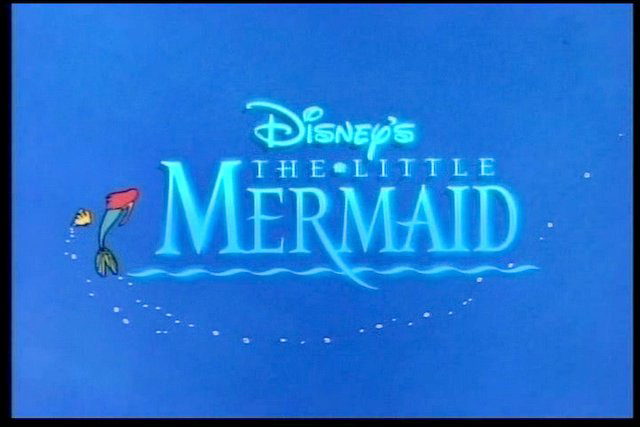 The Little Mermaid Series, Weekdays at 8:00pm EST! - Starting on September 16th, The Little Mermaid series is coming back exclusively to Disney Junior Canada! Set your PVR to record it weekdays at 8:00pm EST, so your little one can enjoy it again and again! 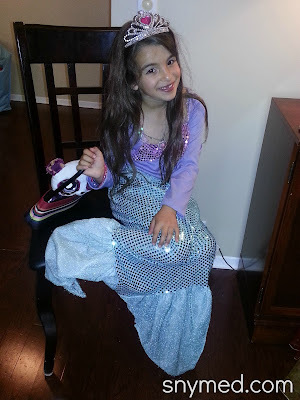 My daughter loves getting dressed up as The Little Mermaid, a costume originally from The Disney Store! She loves that Ariel has long hair (just like she has), is a princess (just like she'd like to be), sings beautiful songs (just like she does), and is married to a prince! When my daughter learned that there is going to be a special Private Red Carpet Screening of Disney's The Little Mermaid here in Toronto, she immediately grabbed her very best tiara, purse, and stuffed her handbag with her finest "treasures"! My Daughter Dressed as The Little Mermaid! Disney Junior Canada is holding a GREAT The Little Mermaid contest right now! Get a chance to WIN a round-trip to Toronto, Ontario to experience Canada's Private Red Carpet Screening of Disney's The Little Mermaid! There will be a special Under the Sea Adventure experience for children at the TIFF Bell Lightbox before the show! One lucky family will be flown to Toronto for the The Little Mermaid Private Red Carpet Screening event, along with a fabulous 2-night hotel stay, transportation and $1000.00 in spending money! A thousand dollars! In addition, kids will take home a very special gift bag. Read more about the grand prize details here! Full contest Rules & Regulations can be read here. GOOD LUCK! Enter The LITTLE MERMAID CONTEST Here! How has your family's schedule changed now that it's September? Does your child have a favourite character that he or she likes to dress up as? I love the Disney line up. it's so reliable when i want time my son's tv time! Thank you very much, Candace! I love that you can always rely on Disney for great family friendly entertainment! As you said, a perfect way for the kids to wind down after a busy day. By the way, your children are totally adorable. We only have 2 children and have often regretted not having a larger family. What a great line up! I think we have the Disney channel. I will have to check to make sure. And what a great opportunity to go to the live screening of The Little Mermaid. That would be so fun! I loved the movie when I was younger and remember the words to every song! The music of Disney has a way of sticking with you, Brandy! Did you know that Donny Osmond sang the music from Mulan? I love Disney Junior! It's the only channel I will let me little guy watch (we're even watching it right now). Oh! How awesome!! What a bunch of cuties! What a fun post too! My son loved the first new episode of Doc McStuffin. If you asked me, I wouldn't be able to tell you if it's a new episode, but boy oh boy, could my son tell! Love the shows on Disney! They're always mindful of children's impressionable minds, and keep things appropriate. Can't say that for a lot of children's shows today.